Letter from Belle Powell to George Pullman asking him to buy an apt. building to help her out. 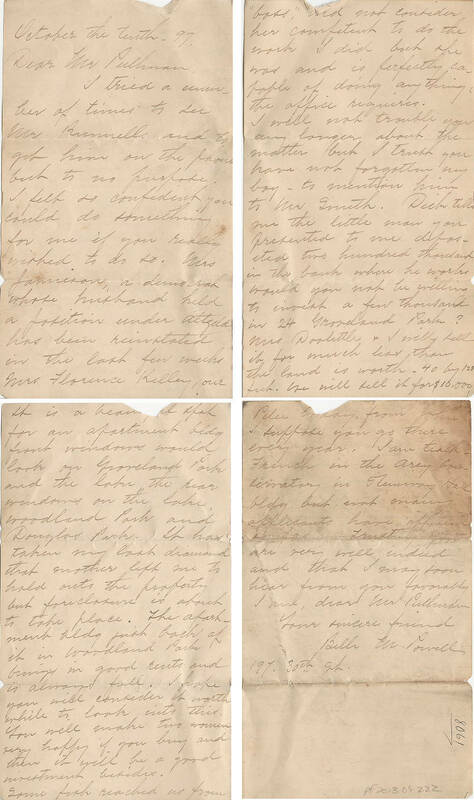 Description Letter from Belle Powell to George Pullman asking him to buy an apt. building to help her out.